The winner of my 3rd and final blog anniversary is: Richard Breaks! Please email me Richard with your address! If you haven't visited his blog, you MUST. he is the best writer. I laugh every time I visit. The way he tells the stories of his cards has me in stitches and his work contains the unexpected with the traditional. It's a treat. Me? I have been busy with sick kids, work, and last friday I got to meet Annette Witherspoon. She was my first non friend or family blog follower. I will never forget how excited I was to see her on that little sidebar. It was such a high. Little did I realize that over time, there would be lows. Because I realize people come, but then they also leave. I couldn't believe my emotional day depended on this development, but it eventually did. No matter how much I rationalized my way to not think it. So one day, I took it off my sidebar. Well anyway, back to Annette. We met at City BBQ. Good food and good chat. Then we went to a scrapbook store for craft time. She was real...and fun! What a full circle moment for me to meet the first follower of my blog at such a pivotal time in my blog life. Here is a project I made for Crate Paper a while ago. I think it didn't work for the intended project. It is a teacher gift. The HANDMADE part is the tag and card and NOT the candy and cookies ;) I got the cookies from the HARTVILLE KITCHEN. A FABULOUS Amish restaurant and store in Hartville, Ohio. just a hop and skip away from me! The apple is from the Silhouette. The tag is from THIS file. The box is also found on the Silhouette HERE. When you use 2 sided paper, it makes it beautiful from all angles. Sadly, I had to replace to chocolates because I ate them all before I could give the gift. NOTE TO SELF: Don't make the project too early! I have major news coming February 6th...I hope you will join me then. This card was lots of fun to make. I found this card base with splatter already on it (A failed project from the past which I kept because I like the way the splatter looked even if it didn't work for the project I was working on at the time). It is splatter made with REAL PAINT--watered down a bit. Then I found some greens that I thought looked great together. They are HERO ARTS in Neon Chartreuse, Tide Pool, Green Hills, and Mint Julip and I stamped a new set by HERO ARTS with them. A beautiful leaf set that will be coming out in February. The sentiment is also from HERO ARTS called um...With Deepest Sympathy. It's a wooden stamp and of course I stamped it using versafine onyx black, it works great! 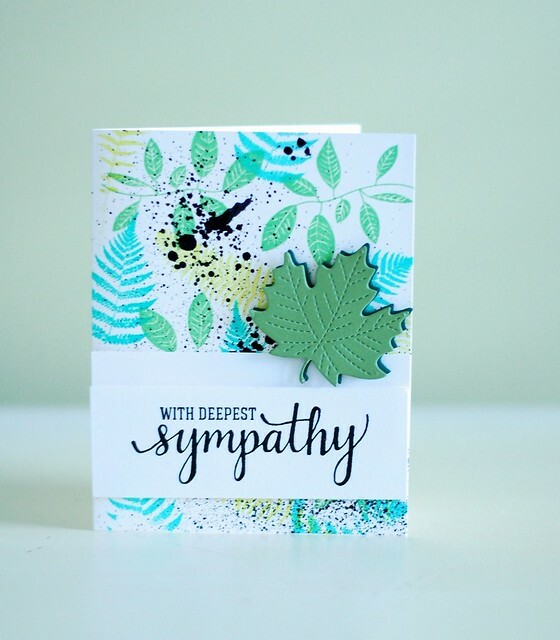 The leaf die is Lawn Fawn-the embossing makes it looks so real. The leafs look 3D by using a pop up between the layers and creating shadow with a darker green color. Want a free Arctic Penguins stamp set by Mama Elephant? Enter my 3rd anniversary giveaway HERE. Want A Penguin Stamp with Your Card/Giveaway? Ombre is best when it just comes ready made...Thanks CP! I love this pretty little bouquet. I "colored" it with water colors. Don't look too close, it's very sloppy. I meant it to...kinda. I was trying to be Danielle Flanders. I wish I did it with more whimsy. Mine seems forced. Maybe I should have just been me! January marks my 3rd year anniversary of blogging. 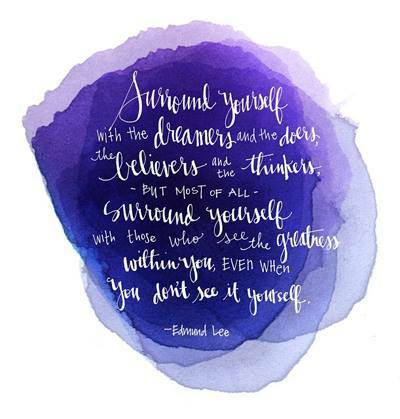 I am going through a "thing" right now with blogging. Lots of internal dialogue about what my journey is right now, and why, and all that. I spent a lot of time on this little blog and it's been incredible but oh my gosh, things have changed. But more of that later. 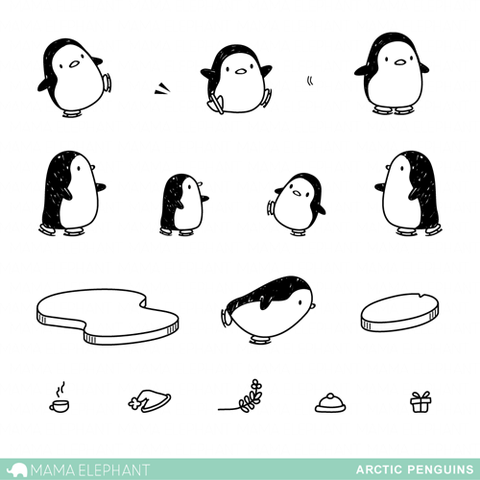 In celebration, I am giving away a Mama Elephant stamp set ARTIC PENGUINS (I ordered at midnight and somehow I ended up with 2 of these and so...it's time to share!) 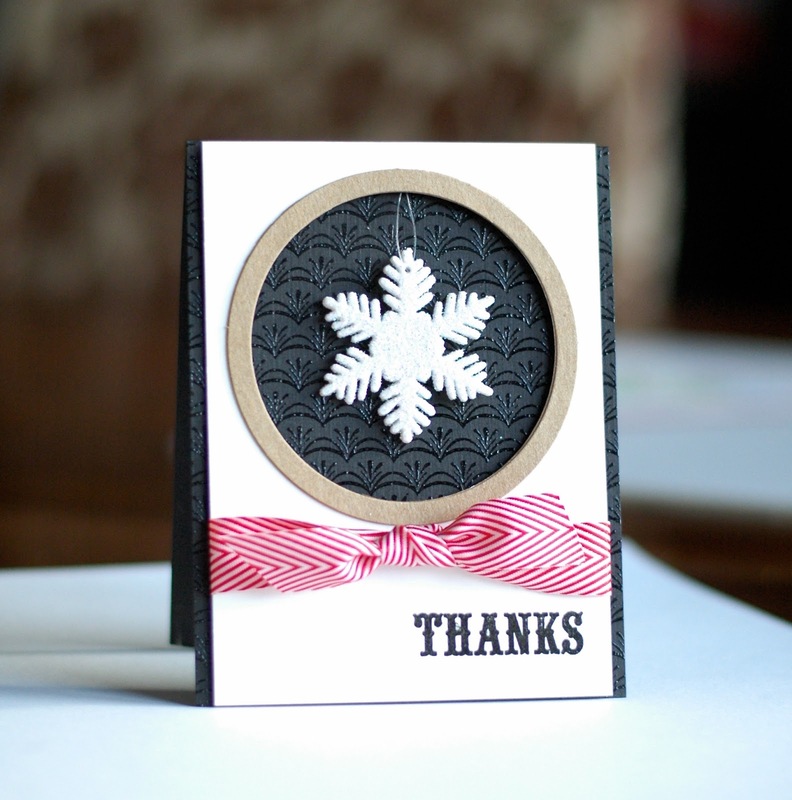 Just leave a comment here commenting on who made your favorite card of 2014....and/or what one card making skill you wish you did better....or/and one thing you are grateful for. Comments end Saturday Jan 31st. 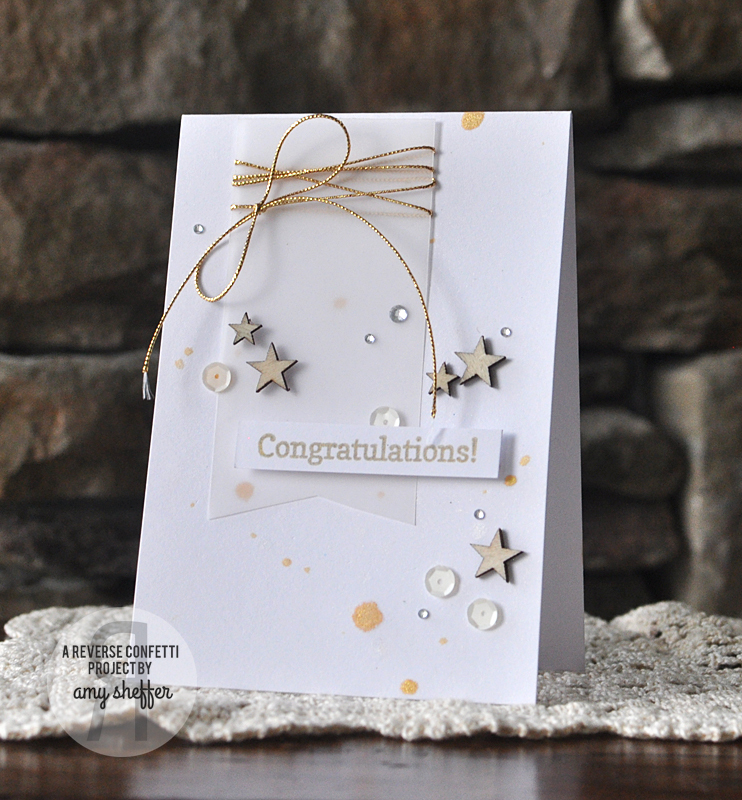 Here is a sneak peek showing off a card using the new 2015 collection! Oh my there are so so many good things coming, I can't wait for you to see. So did I mention we didn't build the house we planned on? We ended up buying one that was already built. Building when you move and start new jobs, new schools, new life is just too much. It was too stressful! Although I am sad for the house that will never be, I am grateful for the one we now have. Its a bit more masculine than I would have liked, but has lots of nice upgrades and I am happy for that. 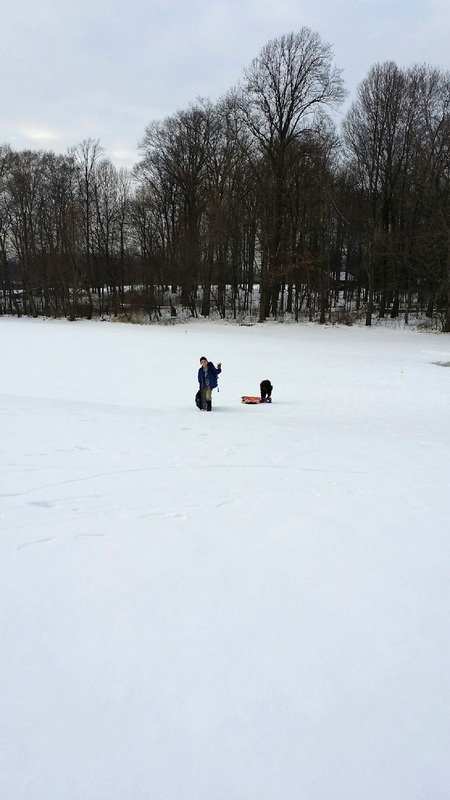 The 2 of the kids and I went sledding on the hill behind our house today and I thought to myself, this is really wonderful! In my mind I always wanted a home that backed to trees...that's just what I got...trees, a pond with geese, a golf course, and well even a pool. God is good. Looking forward to making this place home. 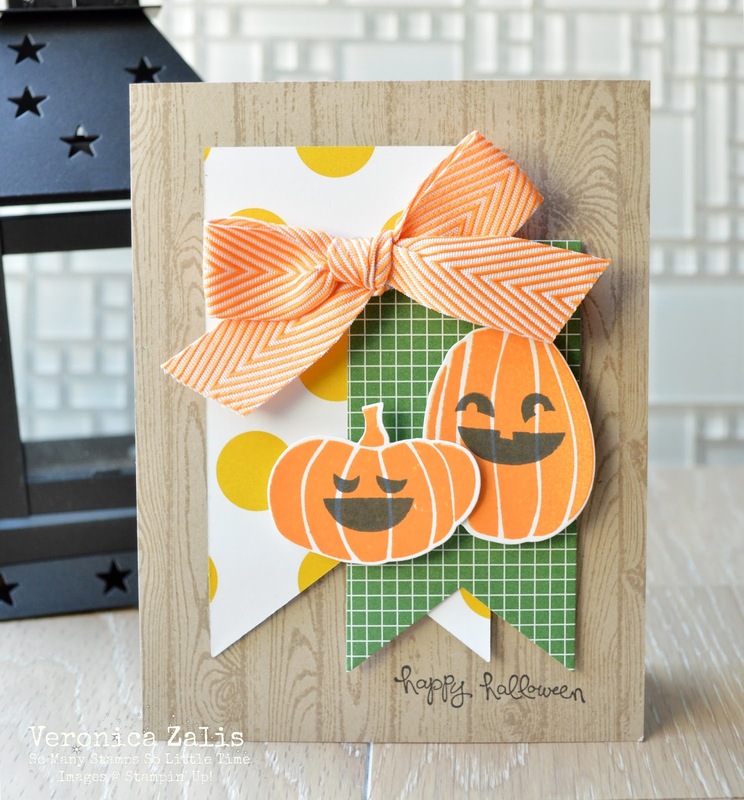 I hope you will check out my card on the blog! See you there! I was asked by the talented mechanical engineer of card making to be her guest on the first fusion challenge of the new year. 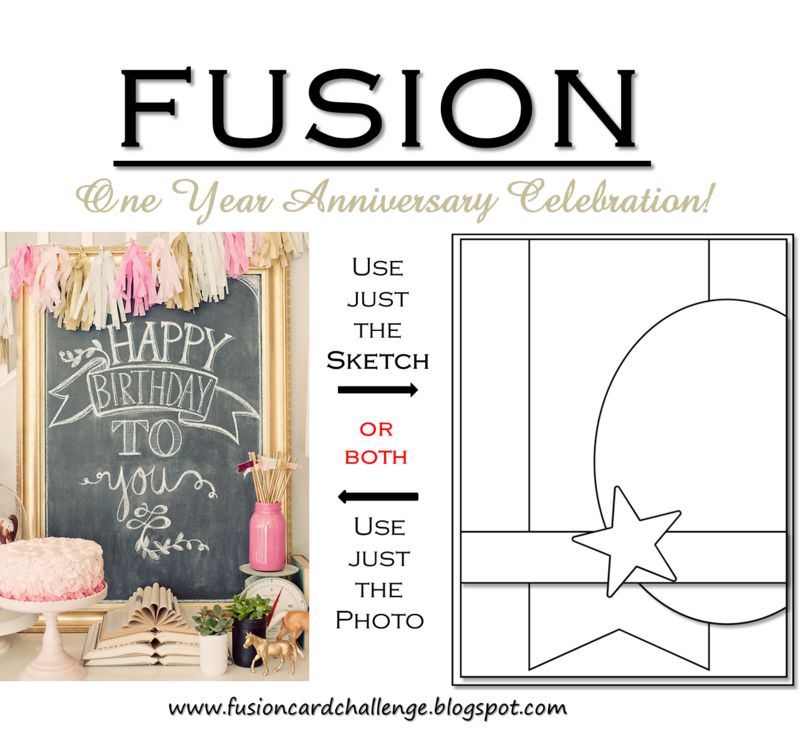 Fusion is celebrating their one year anniversary! OF COURSE, I said Yes! The line up of guest designers is pretty fabulous, I hope you will go check out all the beautiful creations HERE. 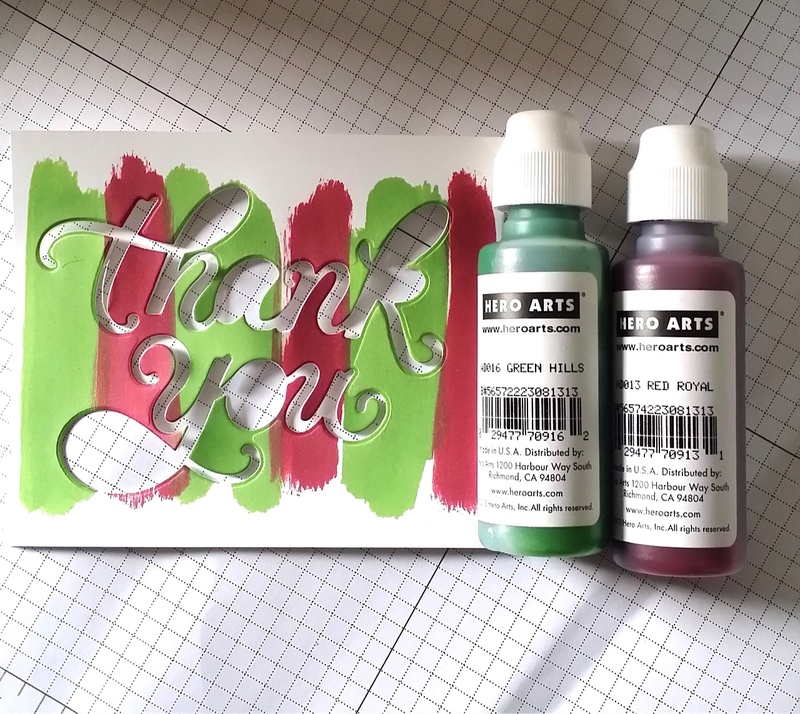 I made another thank you card using a BEAUTIFUL Deco flower background stamp by Basic Grey/Hero Arts and a great versatile thank you set called Thanks A Bunch! My friend Angela gave me these sparkling little silver and white ornaments and they have been sitting there too cute to use. But I decided it was time to put them to good use by making some holiday thank you cards. I clear embossed the background. I think I am going to have to give in and get a lightbox. My photos just are not consistent and the light here is odd. You can't see the glimmer of the snowflake very well at all! BUMMER! I hope you will check out HERO ARTS blog to see what I did with it! It's that time again. I want to share with you my top 14 cards of 2014. 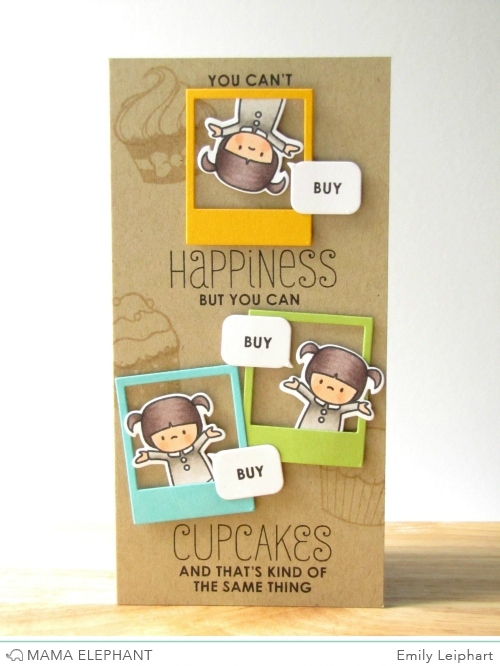 PLEASE DO NOT PIN THESE CARDS FROM MY BLOG! Click on the link and it will take you to the persons blog and you can pin it from their own blog! Thanks! This is the year of Amy. Her cards have been wonderful this year. Original and full of personality. 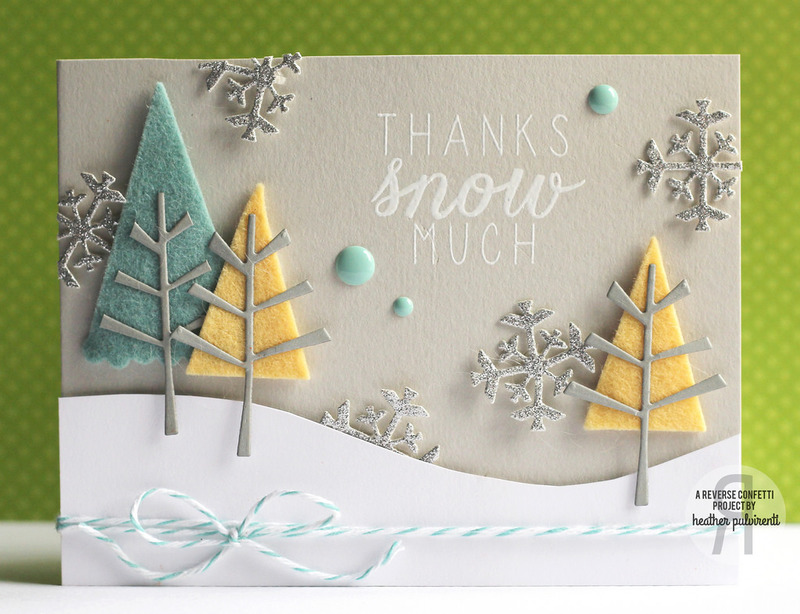 I love this card...The perfect mix of fonts, the white tone on tone, the gray etched looking snowmen with that cute baby in color. The offset tag. 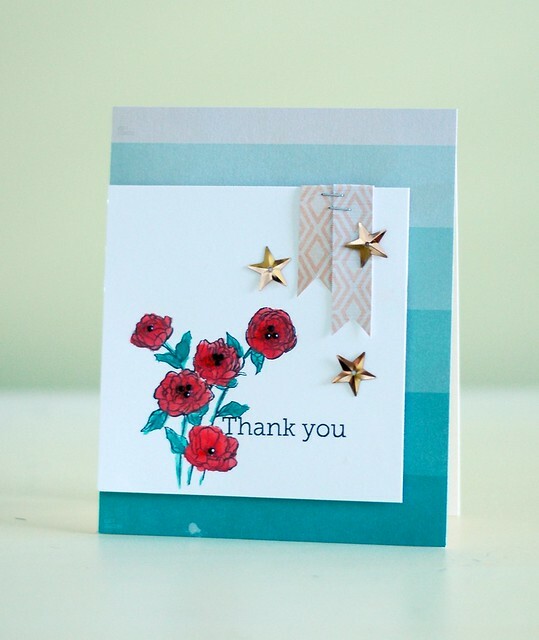 All these subtle details make this card dramatic, cute, original and edgy all at the same time. I adore her work. She uses the Silhouette like no one else. I always buy whatever she makes using the Silhouette! Her use of colors are always playful! This girl has got cute and clever all figured out! Look at this card! 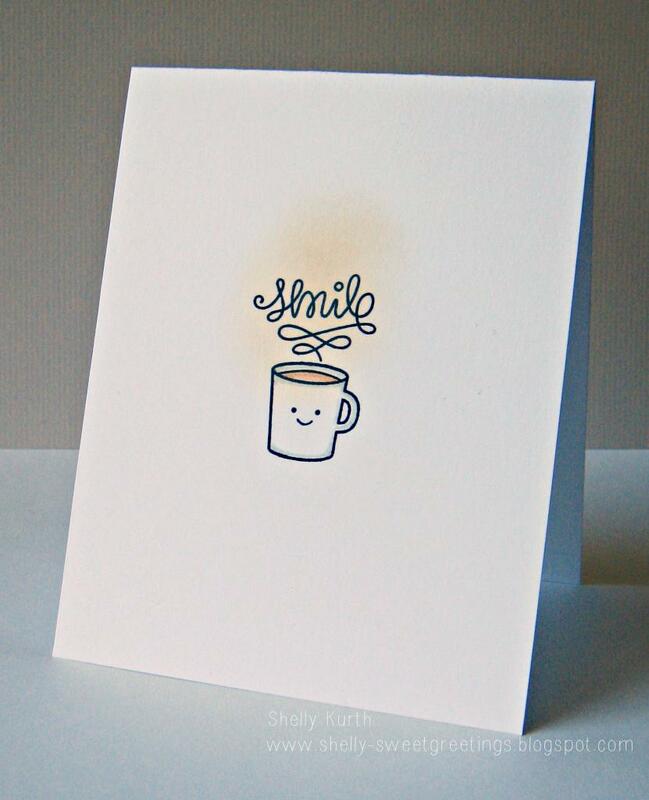 I love that coffee steam in the background, the simplicity of this card had me happy. The way that ribbon is tied just has me giggling. Perfectly placed stars, a bit of splatter, a dash of sequins and gems. It's a whole lot of perfectly placed sparseness. When I pinned this...oh my so many other people did too! I think it is because it's timeless, and great for both boys and girls, men/woman, old/young. I can't remember where i saw this, but when I did...I fell in love. 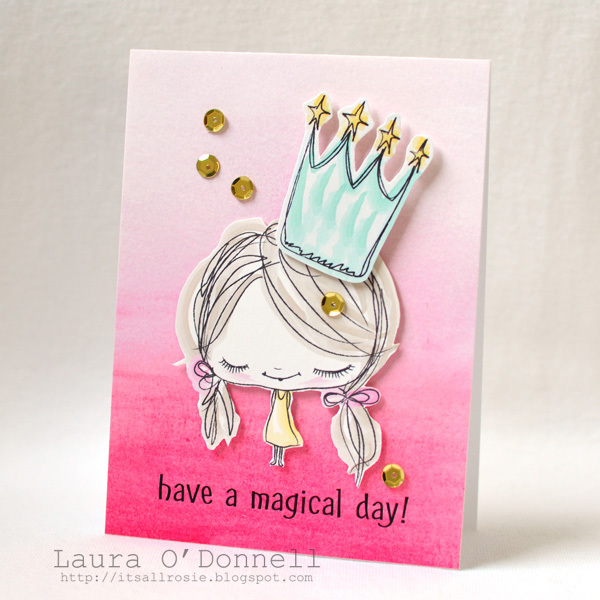 The girl is quirky, she is placed on such an artsy background and the sequins compliment her tiara. It's the right amount of awesome! That rainbow. The open and filled in stars. The rainbow. that GOLD GLIttErY strip on the cloud. It's yummy. She understands how the canvas works. 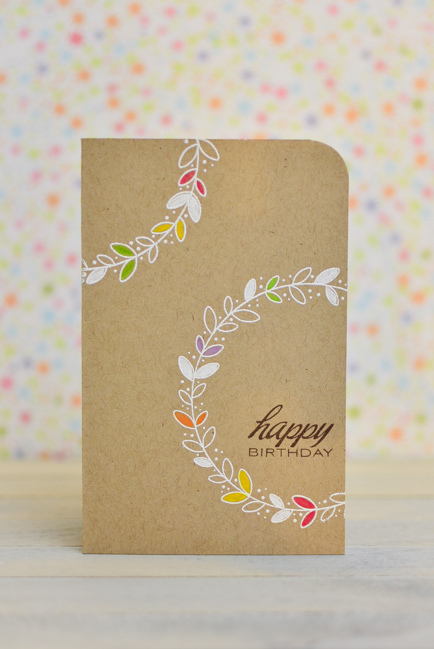 Beautiful white on kraft, gorgeous coloring of the dainty wreath. One corner rounded for a subtle something. Her entire body of work is all about impactful subtle artistic cards that have all kinds of wonderful if you just take a minute to look. What a wonderful combination of color, shape, pattern. It's lovely. I have such a card crush on her. 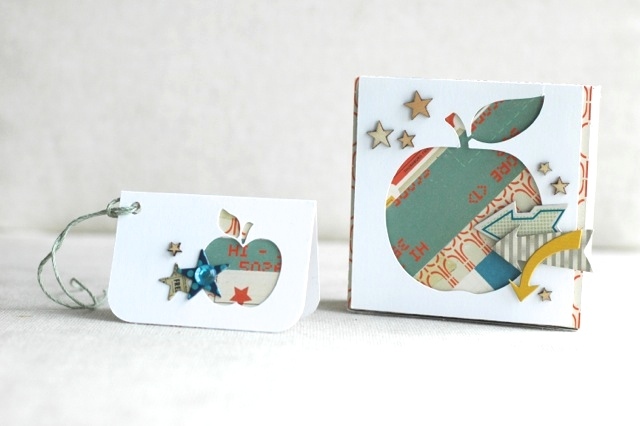 She makes such lovely cards that have universal appeal. 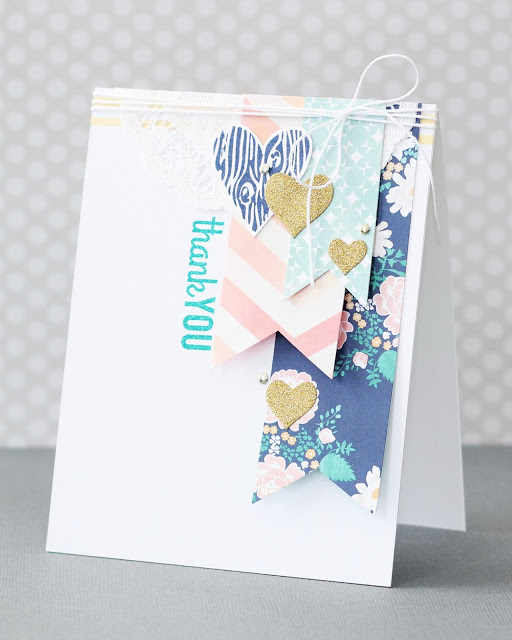 She uses patterned paper so well and look at that bow! Oh my goodness, this was dramatic! I loved the way the colors have such depth. 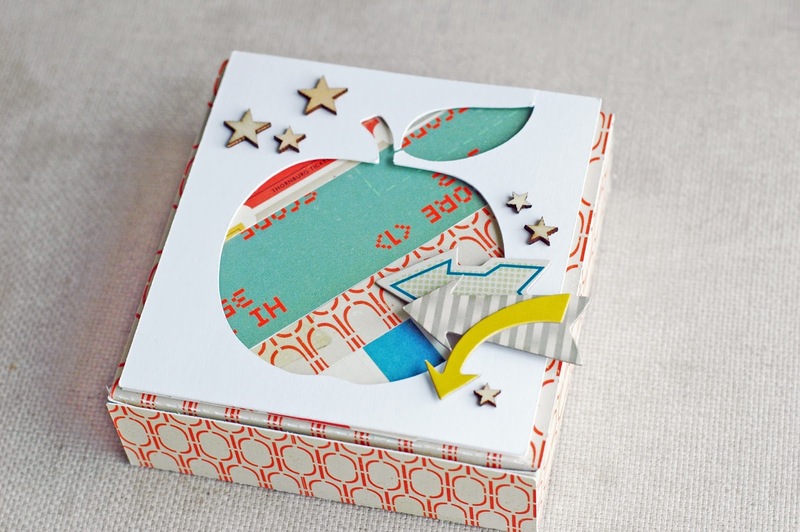 I love the layout and the use of the stars in so many ways! Swoon! 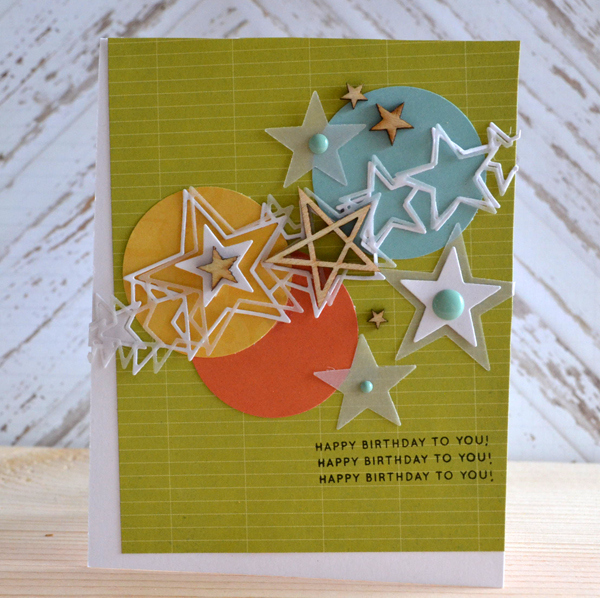 She always uses color combinations that are unusual, but this one takes the cake as the COOLEST card! I love the perfect bow. The texture with the felt. The beautiful snowflakes and that swooping hill. Very pretty. For my favorite cards of 2012, click HERE. 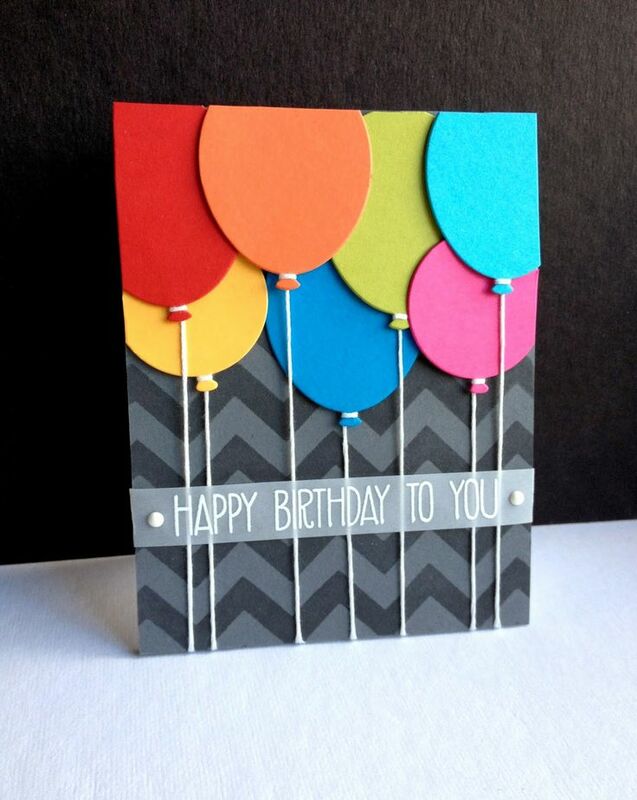 For my favorite cards of 2013, click HERE. THESE folks are still in my favorite list, the continue to be top notch designers in my eyes! 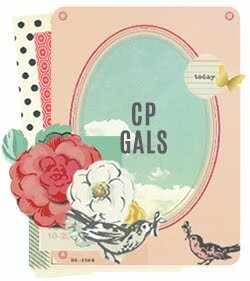 I am on the CP blog today. It is my last post. It is a SAD moment. As you know, there are a few companies that I drool after and top of the list was Crate. They have the prettiest papers and embellishments out there and to rub elbows with the fantastic team was a dream come true. It has come to an end. I am sad. For the last post, we were asked to make holiday DIY projects...Here is a sneak peek of my ensemble. Thank you CP for everything. It was a dream come true.